UNIONTOWN, PA. – For 30 years, a Pennsylvania man kept a .22 pistol on his nightstand, never knowing if he’d need to use it. But on November 4, the moment this 81-yr-old man had prepared for back when Ronald Regan was President, came to a terrifying reality as 46-year-old Franklin Schrout broke into the man’s home, and assaulted him during a robbery attempt. When the 81-year-old said he had nothing of value, Schrout only began to beat him more aggressively, prompting the victim to fire his gun in self-defense, striking Schrout. According to police, the man had never fired a gun before in his life. Police went on to say that the man also cares for his aged and bedridden sister and was concerned for her safety, should he have blacked out from the beating he was taking. “The only thing he told us was that he had to protect himself. 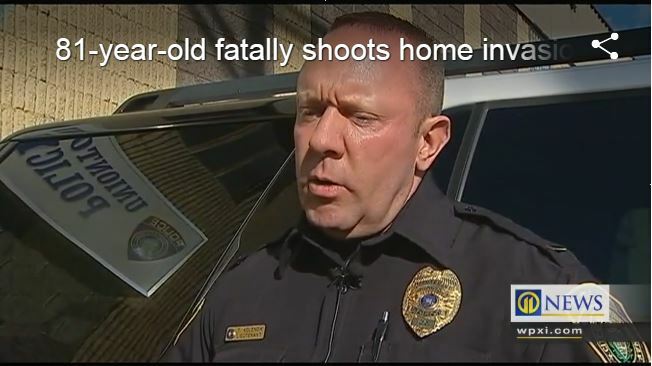 He also lived with an elderly sister, who is bedridden, so he just kept referring to protecting her, protecting himself,” Uniontown Police Lt. Tom Kolencik said. Franklin Schrout died at the scene of his injuries.